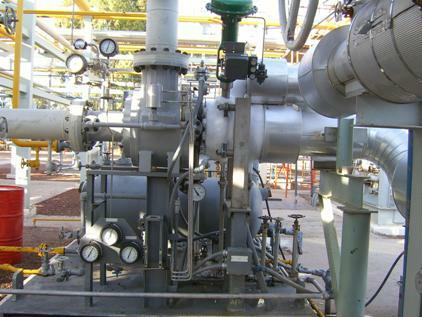 Whether to improve the efficiency of your existing turboexpander, to solve original design deficiencies, or to modernize your system, our engineers have developed and successfully implemented upgrades in all leading brands of turboexpanders. To reduce risk and uncertainty, many rotor upgrades are mechanically proof-tested prior to shipment. Our first upgrades on Rotoflow® turboexpanders were successfully commissioned in 1976 and today we have operating references for our turbo-expander upgrades in 21 countries. 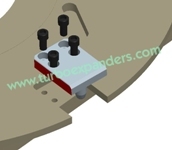 Sticking or jammed nozzle segments with your Rotoflow expander? This is a common problem first solved by our engineers 35 years ago. If your OEM has introduced a costly and complex new design, we have the proven operating experience to upgrade this new design also. Please contact us for a list of references. If your budget is not yet approved for an IGV upgrade, we can also offer a proven low cost engineered solution to reduce pin breakage on your Rotoflow adjusting ring. 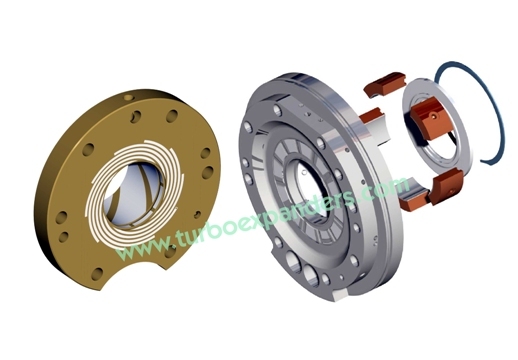 Several features of the typical Rotoflow shaft seal design can be seen in the photos below. 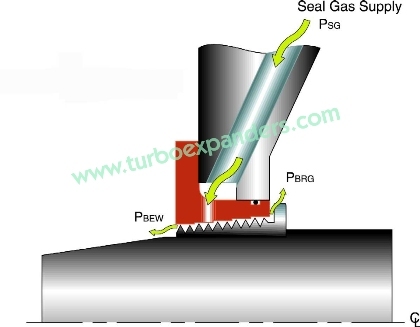 Improvements to the shaft seal design are available as shown at left. 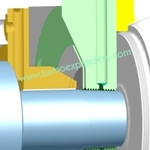 Let our engineers solve your shaft seal issues. 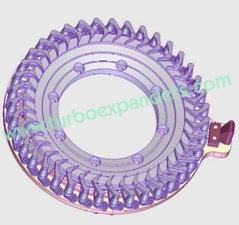 It is becoming more difficult and in some cases impossible to obtain spare parts for older turboexpander designs from Linde, GPS, Hunter, Airco and others. We routinely supply spare parts and upgrades to these obsolete designs. Using ultra-precision CMM and/or laser scanners, our engineers will collect or recreate the precise geometry from your samples, and then generate manufacturing drawings to be used in our factory. Several phases in the typical process are shown below. The standard Rotoflow bearing is a robust design, with generally acceptable operating characteristics. 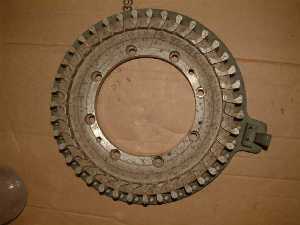 In those rare instances where bearing instabilities are observed with the standard Rotoflow sleeve bearing, we offer an in-house designed tilting-pad bearing upgrade which is a direct replacement. Our solutions are guaranteed. When a new bearing design is installed, we recommend a full speed mechanical test of the assembled MCS in our workshop. A full range of test casings and certified instruments are available for this purpose. 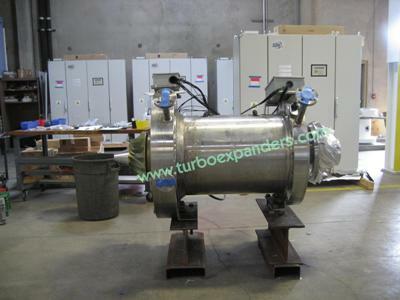 Our test facility and test engineers have experience with Rotoflow turboexpanders of all sizes. 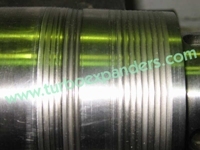 Magnetic bearing upgrades are also available for your existing oil bearing turboexpanders. As a pioneer in this technology with more than 70 systems delivered or under construction since 1992, our team of engineers remain at the forefront of magnetic bearing technology. 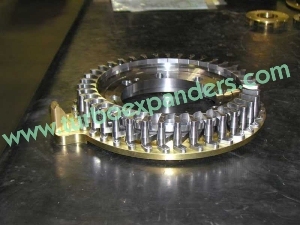 We have supplied new and upgraded magnetic bearing systems with bearing technology from each of the major suppliers. Let us introduce you to the many benefits oil-free technology brings to your operation. Plan a visit to our facility where you will find many magnetic bearing expander systems under fabrication or refurbishment. 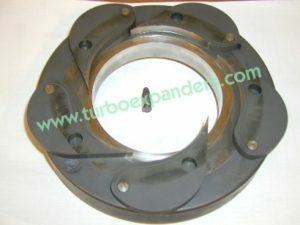 In many cases, the (risk of) lost down time associated with a turboexpander upgrade is not acceptable. 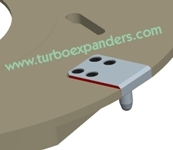 Or, perhaps the risk lies in having to make major modifications to an existing turboexpander in the field, and the uncertainty that comes with an untested design. Or, you may find the OEM not prepared to take the full warranty or performance risk of a field retrofit. Does your OEM believe problems or failures are always “your fault”? If he is correct, let us identify the problem areas and provide training to your operations and maintenance staff; if he is not correct, let us work together to identify and solve the root cause of the problem. Does your current supplier respond to your critical queries within weeks rather than hours? Give our staff a chance to perform for you as we have done for others. Have an emergency?–We have engineers available around the world ready to provide proven solutions. Does your OEM sell from one office, manage from another, and manufacture or test at yet another location? Come visit our workshop and meet our engineers, managers, quality assurance, manufacturing, testing, and field staff. 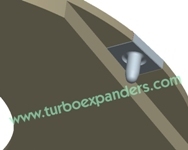 We are the one-stop shop in the turboexpander industry. Is your current turboexpander service provider a new start-up using intellectual property embezzled from GE, or sub-contracting all its critical activities? Here you will find a fully funded, honest, ISO 9001 certified company with experienced staff in all departments. 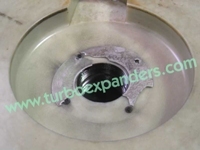 Please grant us the opportunity to be your new OEM; upgrade your turboexpander and your turboexpander supplier.